The large surface of the air-filled canopy increases resistance (drag), slowing down the speed of descent. Without a parachute, a human body falling thru the air reaches a fatal speed of 118 miles per hour. When the parachute opens, the rate of descent slows to about 17 miles per hour. 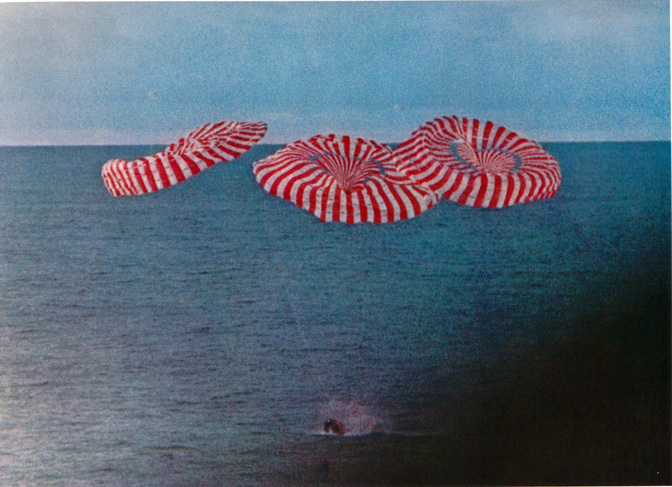 The space capsules such as The Apollo 13 reached speeds on reentry of 125 to 185 miles per hour and would have burned up if the parachutes had not slowed them down.